I’m a Perfectionist… Get Me Out Of Here! “Are you a perfectionist? Does this cause you problems?” Clearly there are a lot of students who answer yes to these questions as our event was fully booked with a long waiting list. So if perfectionism causes you difficulties, take heart – you’re not alone! The workshop was designed to involve a lot of active learning and talking with other students. For the first exercise we shared in pairs the positive aspects of being a perfectionist, as well as the problems we experience, then fed these back to the whole group. Perfectionism isn’t something we have to get rid of from our personalities; it’s possible to keep perfectionism in balance so we can reap benefits. Participants mentioned that perfectionism can lead not only to achieving a high level of performance, but being well-organised and reliable, and feelings of satisfaction and greater involvement in whatever they’re doing. How to overcome the problems though, which students said include stress, procrastination, dissatisfaction, loneliness, and low self-esteem because of unhealthy expectations? In between the discussion exercises, Ali Newell from the Chaplaincy led us in mindfulness exercises that help relieve stress, including a sitting meditation and tai chi (simple mindful movement). No special equipment or clothes are needed for these exercises and it’s possible to do them as a lovely start to the day, in breaks from working, or to relax before going to bed. The Chaplaincy also offers free lunchtime mindfulness sessions (see below). We ended the workshop with some singing for fun – also an excellent stress-buster, very good for physical and mental health. One of the things participants found very valuable was the chance to discuss how they would put their learning from the workshop into action. I was delighted by the positive feedback. 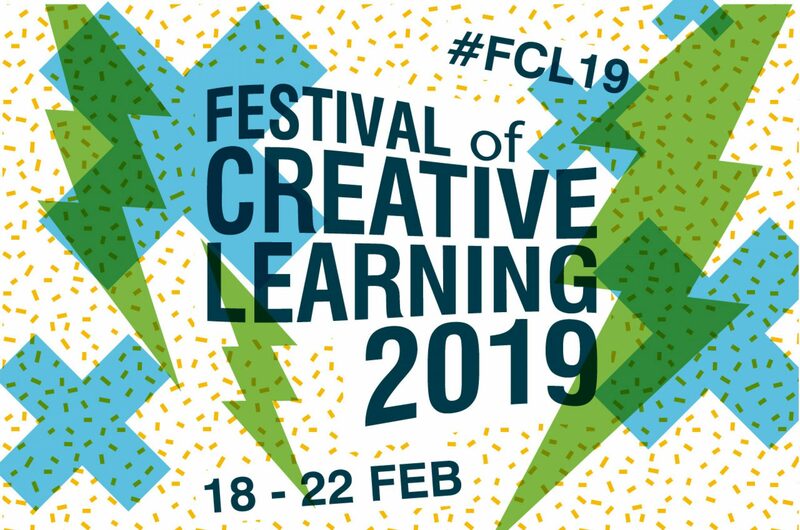 We may run this event during the Festival of Creative Learning next year, and in the meantime, if you have problems with perfectionism, do look for help (e.g. from your Personal Tutor or Student Support Officer) and try some of the suggestions given above. All in room 1 at the Chaplaincy Centre. All free. All welcome. Our event provided a platform for participants of the Festival of Creative Learning to work together in the construction of a protective cladding for a small community office/art space (Wikihouse) in Glasgow. The Wikihouse is part of an ongoing Edinburgh School of Architecture and Landscape Architecture (ESALA) Project Office initiative and was assembled in the summer of 2016 for and by the children of Baltic Street Adventure Playground (BSAP) in Dalmarnock. In this cladding phase ESALA Projects Office supported design collective Civic Soup (a team of recent graduates from the University of Edinburgh and Karlsruhe) to work in collaboration with industry partners BAM construction and CMS cladding. The design gave the local children a creative outlet by colourfully spray painting PVC panels which will allow them to establish an ownership of the finished building. Clad the Wikihouse! gave participants a practical, physical, collaborative and creative platform to learn, supported by the Festival of Creative Learning. Together we created a beautiful and weather-tight space which is safe and comfortable to use for the local community. The project would not have been possible without the help and enthusiasm of everyone who partook in the process and the finished building is something we can all be proud of. Everyone was full of excitement to get started on site. Our first task, as would be the manner every morning was to acquaint everyone with the team, the site, each other and the day’s activities. Inside the Wikihouse BAM had invited a plasterer to teach the team how to progress with the internal finishes. The team took turns to break from the timber cutting outside to start constructing plasterboard box-outs around the windows and start taping and plastering all the joins. With all the structural timbers cut by the end of the day the team de-briefed and reflected over a well-deserved hot chocolate. This was a valuable opportunity for the design team to gauge the success of the day as we reflected and shared what we had all enjoyed learned and what could be improved for the team taking part. canopy fixed to the Wikihouse. As the bones of the canopy were going up before our eyes, the local kids started to arrive. We let them loose spraying the roof panels with some fresh paints provided by BAM, which resulted in the addition of a velociraptor and a butterfly to the vibrant range of patterns already on show. Wrapping up the day at 4.30pm in our soggy work wear, we headed back to Edinburgh ready for a warm brew and an early night. On Wednesday, we spent an intense day on site with a dynamic group of volunteers. The team from BAM construction set up their mobile scaffold and climbed onto the roof, where they started affixing some PVC panels beautifully decorated by the kids from BSAP. Meanwhile, some of the group focused on plastering the inside of the building. On the outside, we made progress on cutting and attaching battens to the sides of the building. Later in the day, we were able to attach some plywood panels onto the battens, starting to weatherproof the building. Working with a new team everyday was intense and challenging, demanding a certain time investment that allowed for people to gel. Thursday was a day that proved the importance of visual results and progress in order to motivate a group in collective action. Earlier in the week, the workshops mainly consisted of crafting and preparing individual components; often tedious. However, Thursday was a day of coming together to rapidly assemble and fix components and the roof became more colourful by the hour as the children’s graffitied panels were offered up to be fixed to counter battens. Logistical issues throughout were overcome by the hard work and will of a team of volunteers that wished to see their contributions made meaningful through the completion of varied goals and objectives. As a learning process for the Civic Soup team, it begs the question of how these moments of activity can be better spread throughout workshops. In future projects, how might they be used as a tool for bringing people together through shared experience, momentum and a willingness to give? There was a very positive atmosphere on site today. The weather had turned around, and despite it probably being the coldest day, it was very sunny throughout. For the first time the safety fence surrounding the construction site was taken down and Alan (playworker at BSAP) prepared a fire nearby. Marshmallows were handed out and we had a place to warm up. This led to a more fluid workflow, greater integration of the kids that were now gathering on the site and an appreciation of the space as a whole. However, it also meant more supervision and responsibility, as all the tools were now exposed and potentially causing hazards. When the last panel went on there was a lot of pride and relief. Even though there was still a day’s worth of work to do, it was great to see the Wikihouse so close to finish, looking very similar to the design plan on paper. Overall this entire week has taught us an invaluable amount of new skills. It has helped us as a team to draw closer, whilst making new friends and connecting to a great community.